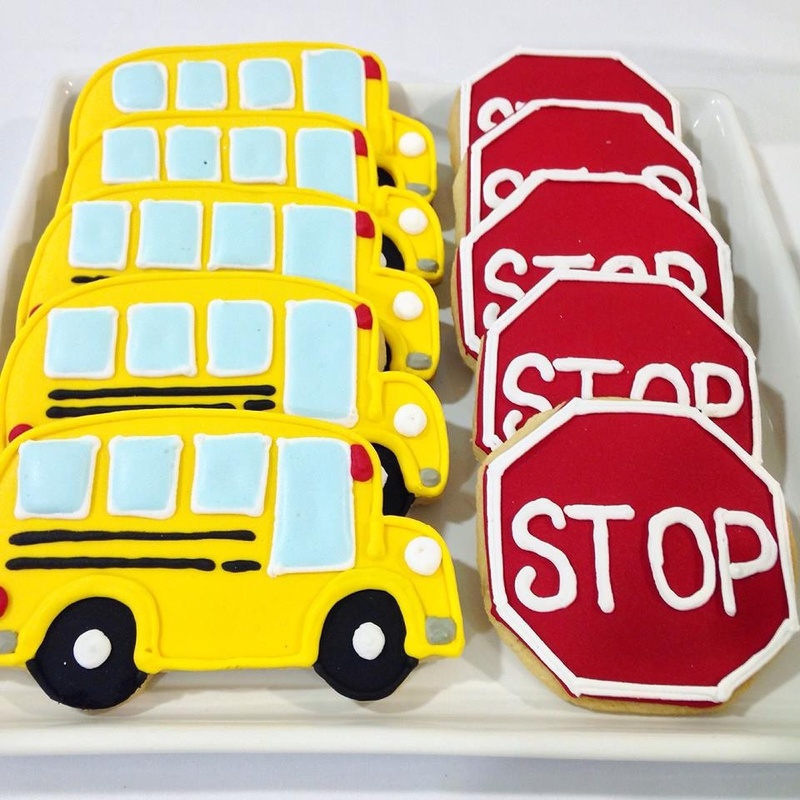 If you’re planning a toddler’s birthday party and are looking for a captivating feast for little eyes that’s more than a birthday cake, how about a The Wheels On The Bus themed custom dessert table? 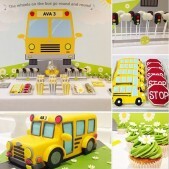 The Wheels On The Bus is a seriously cute theme for a toddler’s birthday party, offering almost endless possibilities for the treat table. 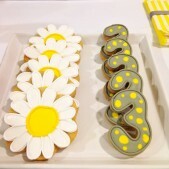 For a birthday girl, add more daisy flower cookies and cupcakes. 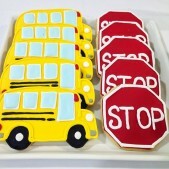 Boys may prefer bus cookies, while number cookies, traffic sign cookies and traffic light cake pops are always popular with everyone. Take a look below at The Wheels On The Bus Gallery to view some examples of how we have created adorable variations on the theme to suit many different birthday boys and girls. 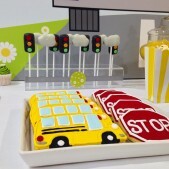 Incorporating a The Wheels On The Bus birthday cake centrepiece, cake pops, cupcakes and tasty cookies, this themed dessert table created by Cakes by Robin is sure to make your little one’s birthday party a memorable event nobody will forget in a hurry. The newest and hottest trend for birthday party catering, bespoke dessert tables go far beyond the classic birthday cake – they take sweet treats to a whole new level. Cakes by Robin can create children’s birthday treat tables based around many popular themes to create stunning displays of sweet treats. 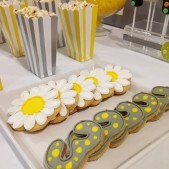 Tables can include cake pops, cupcakes and cookies alongside the main children’s birthday cake – all expertly arranged and beautifully displayed for maximum impact to the birthday girl or birthday boy, as well as the party guests. 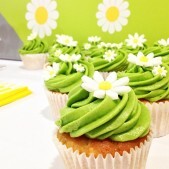 Cakes by Robin are renowned London cake designers with a reputation for excellence and originality. Our birthday cakes, cupcakes, cookies and cake pops are hand made to your specifications using the finest, freshest ingredients to produce results that are as scrummy as they are adorable. Our custom dessert tables can comprise any combination of tasty products including cakes, miniature cakes, cookies, cupcakes and cake pops to make your toddler’s birthday party extra special. We work with a range of well-known children’s party organisers to make sure your themed birthday party is a complete success down to the tiniest detail. 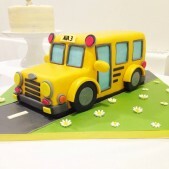 For The Wheels On The Bus custom dessert tables, please get in touch and let us help create a birthday celebration your little one will remember for years to come. Cakes by Robin have a wide range of themed dessert tables to view and order via the website, including The Wheels On The Bus and other toddler friendly themes. Of course, if you wish to discuss your own ideas, suggestions and theme for your little one’s birthday celebration, we are only too happy to create something completely unique for you. Choose from any of our sweets and cake treats for your custom dessert table, including birthday cakes, cupcakes, sweets, cake pops and macarons. 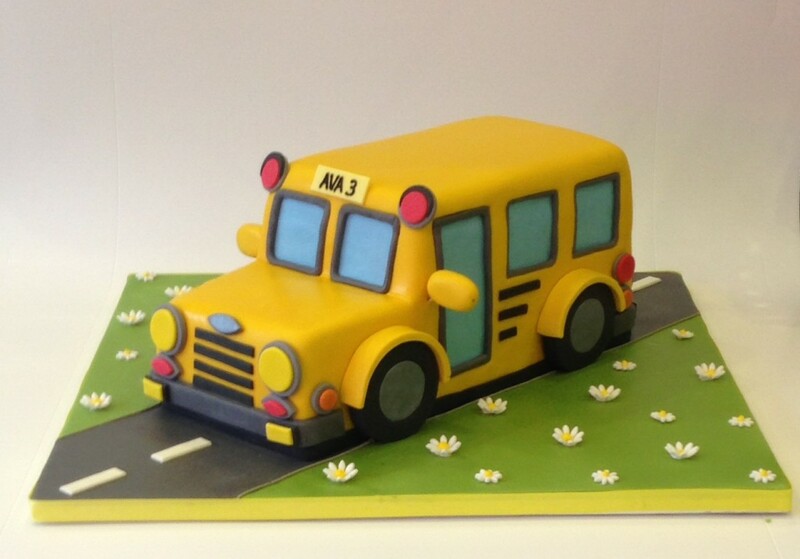 For a personalised quotation for your The Wheels On The Bus custom dessert table for your toddler’s birthday party, please call us direct on 020 8874 4616 or send us a short message here.